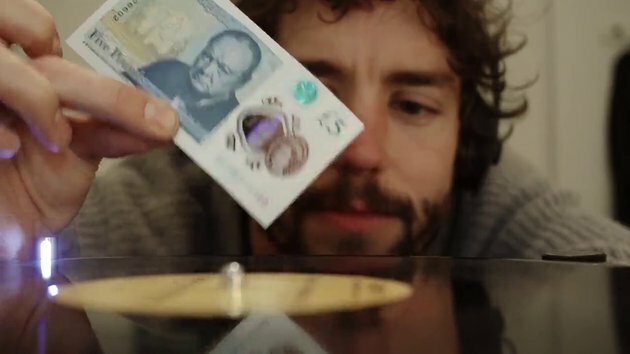 New Five Pound Note Plays Vinyl Records. Churchill seems to be a little bit angry on that banknote though. ....guess he was playing the wrong records. #1. Constipation does that to you. Can he do that with credit card? why is the sound so loud ? Ironically the old five pound note could be taken to a record shop and exchanged for actual music but since Brexit this is no longer possible. If the £5 note is playing the music why does he have headphones on?